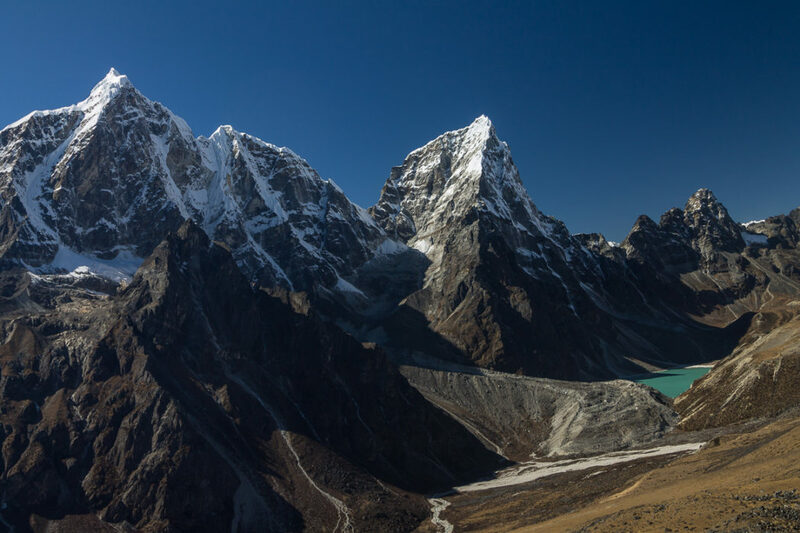 Away from the popular Kala Patthar and Everest Base Camp areas, Cicerone's Everest expert Radek Kucharski discovers the lesser-known gems in the Khumbu region and explores the Three Passes Trek – could this be your next Himalayan trekking adventure? This was a trip of surprises! It was my sixth time on the trail above Lukla, in the Solukhumbu (Everest) Region of Nepal: but this was my first trek without a group, and with enough time to glance at some less-visited places. As it turned out there is so much more to the region than the main attractions of the usual route to Kala Patthar and Everest base camp. 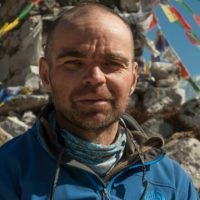 I work as a tour leader on trekking trips, mainly in the Himalayas, both in Nepal and India. This Everest trek was an unusual one for me: unlike in Ladakh, in India, where I had trekked quite a lot on my own before leading my first trips, my first visits to Solukhumbu were with local guides and clients: later I was able to travel there independently. 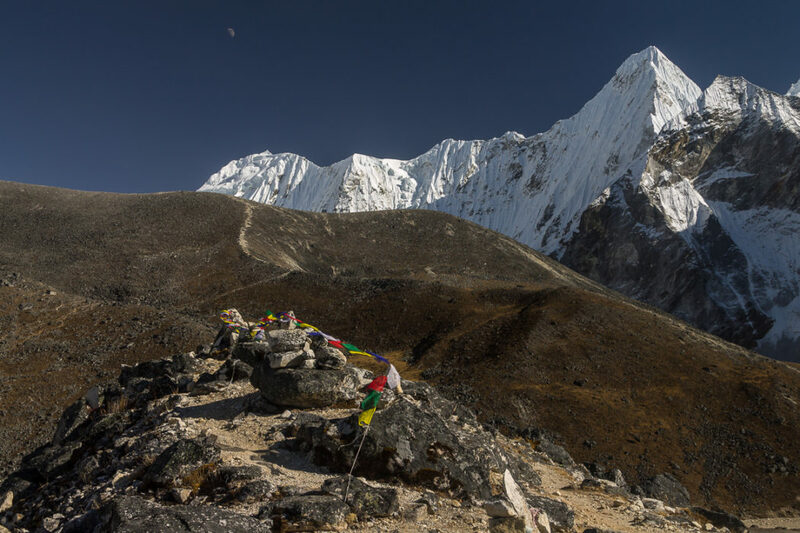 Most trekkers in the region follow the main route from Lukla to Everest base camp and the Kala Patthar Peak (about 5646m), which is certainly one of the best Everest viewpoints available to non-climbers. A reasonable schedule for the up and down trek from Lukla allows 11 days, enough for most of the people to acclimatise properly and to visit at least one of the main attractions – either base camp or Kala Patthar. 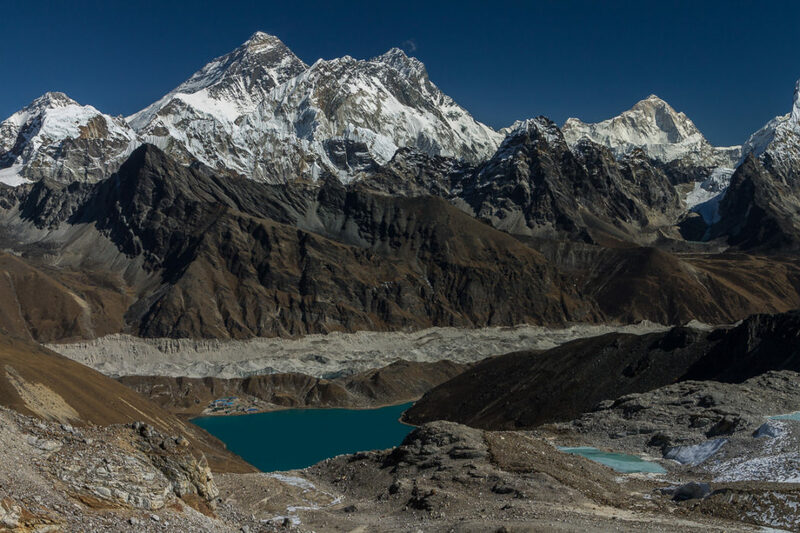 Trekkers who have slightly more time may combine a visit to the upper part of the Khumbu Valley with Gokyo, a picturesque place situated just next to Ngozumpa, the longest glacier in the Himalayas, and near to another 8000er, Cho Oyu. 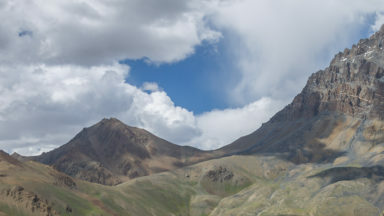 Finally there is the Three Passes Trek, which takes trekker to the full series of fantastic viewpoints. Initially we were planning to walk all the way from Salleri, which is below Lukla, following a part of the route which I tested in spring. 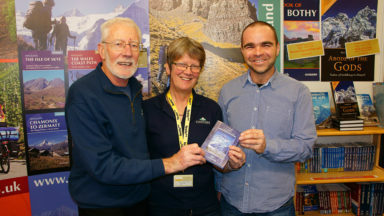 However we would not have enough time – I counted – so we decided to buy tickets for the Kathmandu–Lukla flight. 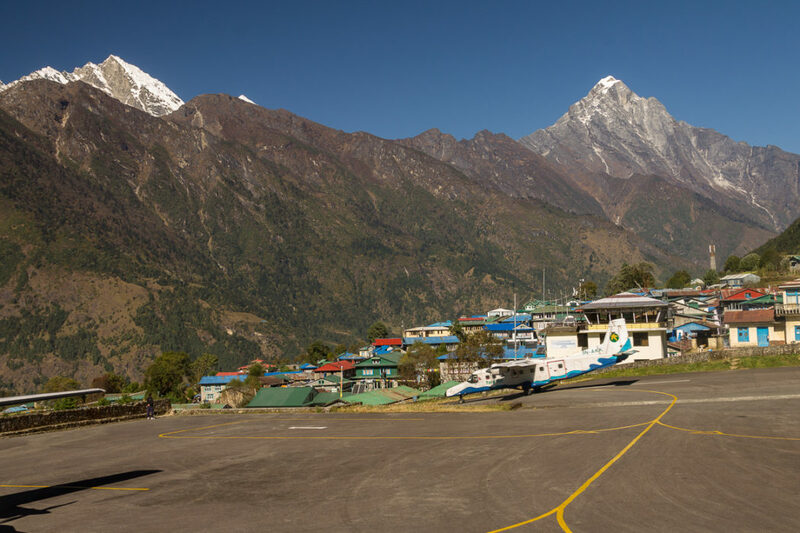 One hears bad stories about this flight, and Lukla airport is often regarded as one of the most dangerous in the world. Putting that aside, it is certainly true to say that flying to Lukla you must be always prepared for possible delays: the airport is closed unless the weather is perfectly clear. But we were lucky to have fantastic weather, not only during the flight and landing but for the entire 20 days of our trek! 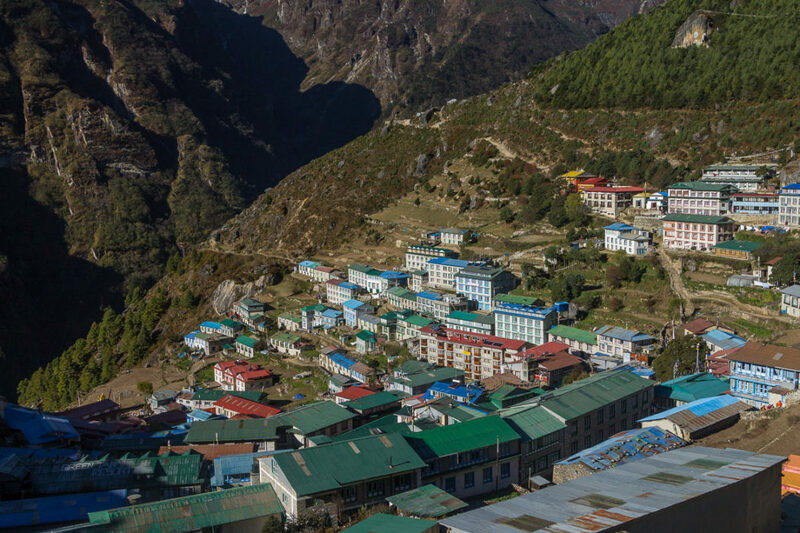 Usually trekkers reach Namche Bazaar, the Sherpa capital, on the second day of the trek from Lukla, and stay there two nights to aid acclimatisation. There are not many choices on this part of the trek, so we just followed the main route. The valley has its first major fork just below Namche. 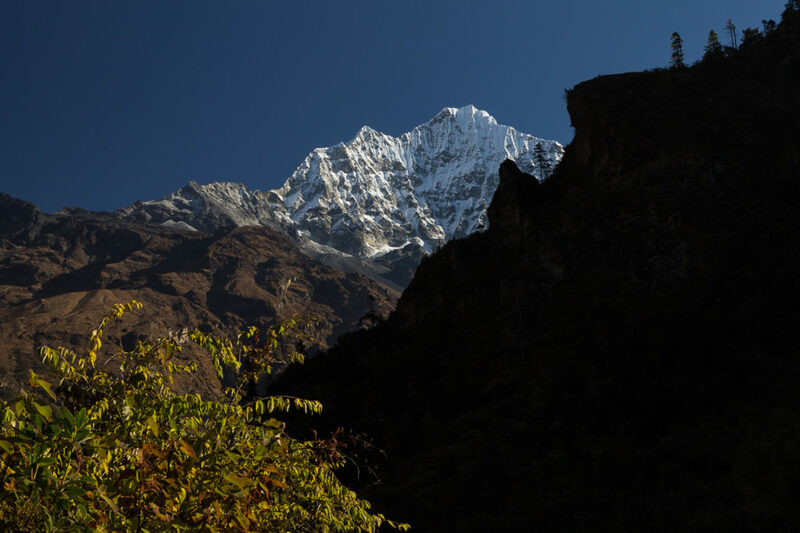 As you ascend from the south, walking upstream, the valley ahead continues as Dudh Koshi, heading straight towards the south faces of Lhotse and Everest, which you see for the first time approaching Namche. To the left, the Bothe Koshi heads to the Nangpa La, a major pass and trade route to Tibet which was closed after the Chinese invasion. This is the way Sherpas migrated from Kham, in eastern Tibet, to Solukhumbu, from the 15th century. The Renjo La is also up this valley, and would be the third pass on our Three Passes route. 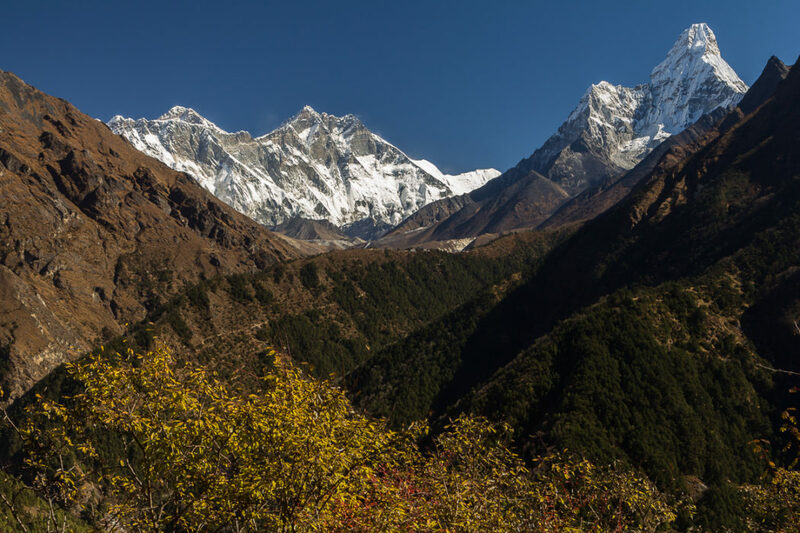 The usual route from Namche starts with a scenic traverse to Kyangjuma, which has magnificent views of the Nuptse–Lhotse ridge, with Everest peeking behind it. 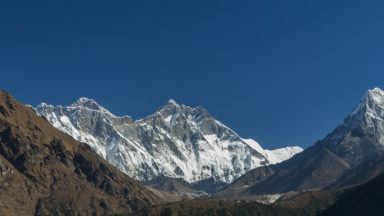 Taboche peak is on the near left, with Ama Dablam opposite, and then – just to your right – are Thamserku and Khangtega, both inspiring peaks over 6000m high. I’m not a big fan of this section. The wide, partially stone-paved pathway is usually crowded in the morning, as the majority of trekkers leaving Namche follow this route. There are fewer people beyond Sanasa, where the route splits. 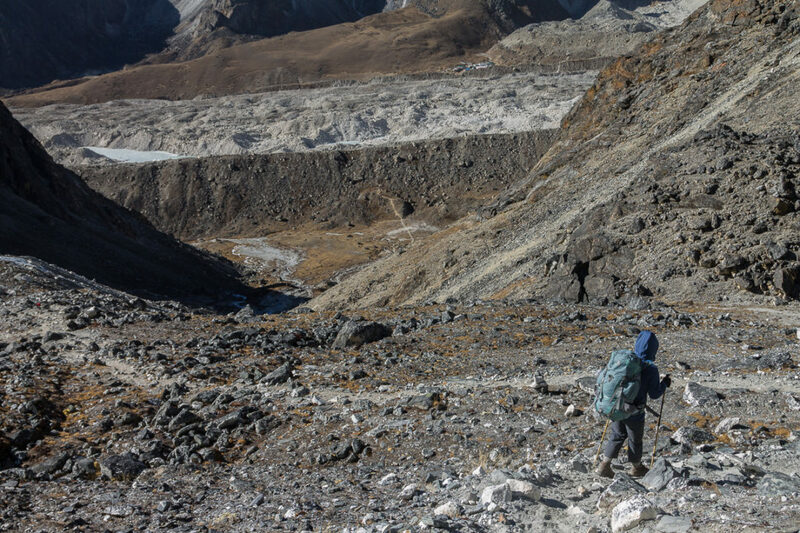 The main path leads steadily downwards to cross Dudh Koshi, then climbs a steep slope to the monastery of Tangboche. We turned left, taking an ascending path to Mong La: the first real test of walking above 3500m. As we ascended the Taboche Gompa monastery came into the view on the other side of the valley, and the valley itself forked for the second time: Dudh Koshi heads left (as you approach upstream), towards Gokyo and Cho Oyu, while Imja Khola leads straight ahead, towards Lhotse, Everest and the other accompanying peaks. We followed Imja Khola, but took the slightly less popular path on its right-hand side. From Mong La we descended steeply, crossed a bridge and continued on a steep ascent across a beautiful birch and rhododendron forest to the picturesque village of Phortse, which marked the end of our day. We were at around 3800m, where outside temperatures drop below freezing overnight. We enjoyed another scenic walk next morning, following a high traverse, with fantastic views of Thamserku, Khangtega on our right, Ama Dablam just in front of us and Lhotse’s south face closing the valley. It’s not a long way from Phortse to Pangboche but it’s up and down all the way so we were happy to reach the destination just before lunch time. No one wants to an waste afternoon in such a place – well I don’t, at least. We couldn’t go too high, as we were not acclimatised to the altitude, but climbing a few hundred metres higher than you sleep and returning for the night aids the acclimatisation process. 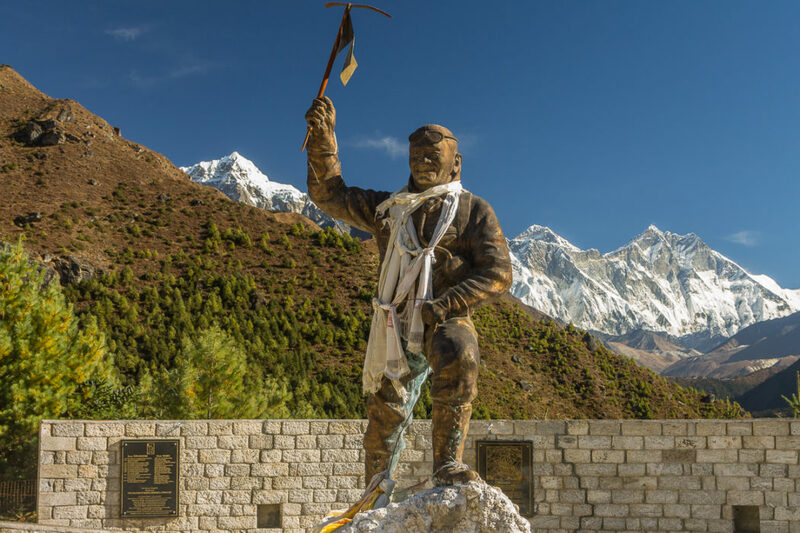 We followed a ridge rising from the school, and the Guru Padmasambava’s statue, above the upper part of Pangboche, to reach a non-significant point at around 4430m. What a scene! Taboche Peak was just above our heads, a birds-eye view of the village below; Ama Dablam was on the opposite side of the valley, facing the setting sun, with the upper pyramid of Everest still lighted red while the sunset had sunk everything else in shadow. Mornings are superb in Pangboche, too. I would say if you don’t have time or strength to go to base camp, Kala Pathar or Gokyo, it is still worth going for a short trek in the region: and, if this is the case, Pangboche should be your destination! 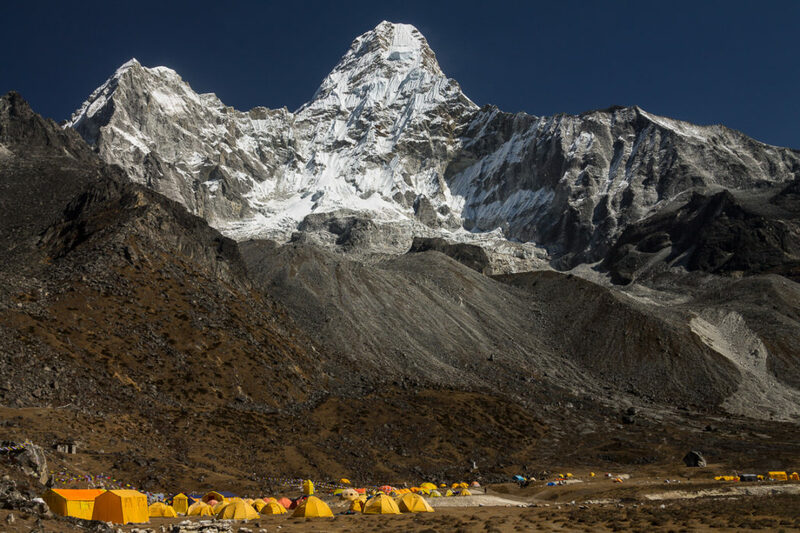 We wanted to spend two nights in Pangboche, with a full day to explore Ama Dablam base camp and its surroundings. I’d been to this base camp before, and I’m not really into looking at other people’s tents, even if they are mountaineers; but I consider the way to the camp one of the most scenic parts off the main route in the Everest Region, and I expected the way to the advanced base camp to be even better. And that’s how it was! Beautiful Pumori comes into view for the first time on the approach, and you see Taboche Peak from another perspective now. 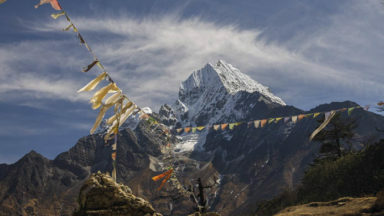 Reaching base camp, at 4580m, you feel embraced by the arms of Ama Dablam. Above base camp we followed a clear path along a moraine towards advanced base camp. 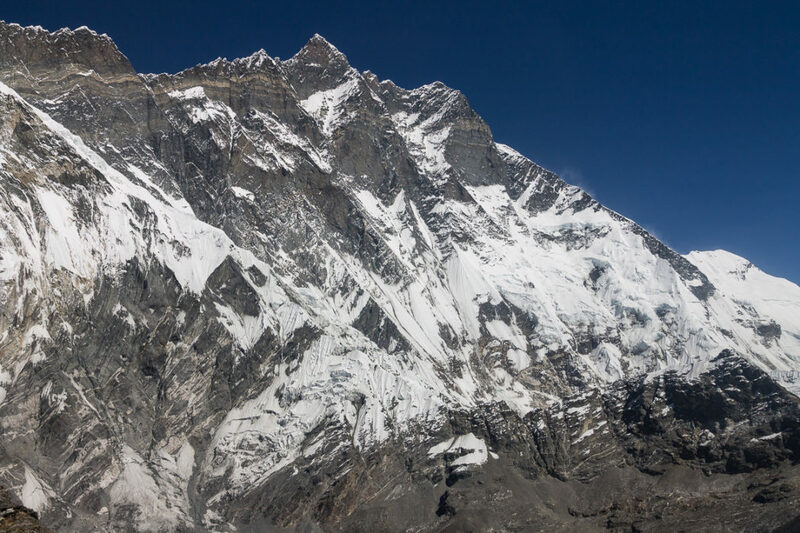 A spectacular panorama develops as you ascend, eventually including Lobuche peak – a well-known, so-called trekking peak in the Khumbu Valley – and Cho Oyu (8188m), the sixth highest mountain on Earth. In that direction the Cho La – the second pass on our way – is visible, and part of the path leading to it might even be seen. In front of us, as well as on both sides, were a number of impressive 6000ers, of which Malanphulan (6573m), seen here from the north, looks particularly awe-inspiring. On the return to Pangboche we saw all of this again, lit by the incredibly beautiful, warm evening rays of the setting sun. Dingboche, at about 4300m, was our next stopping point, and we also spent two nights there. The valley forks again just before the route from Pangboche reaches Dingboche, and we took the valley on our right. This keeps the name Imja Khola, and Imja Tse, better known as Island Peak and a frequently-climbed 6000er, lies in its upper part. To your left is the way to the Khumbu Valley, Kala Patthar and Everest base camp. 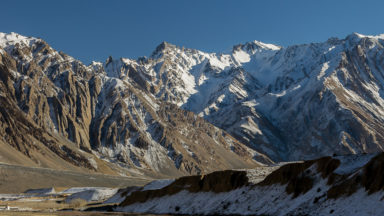 There is a peak, or a culmination of a long and quite steep ridge, which divides the valley, usually called Nangkartshang, although according to some maps it’s just a nameless peak on a ridge, with Nangkartshang (or Nangkar Tshang) being a rocky summit above it. The panorama from the top is certainly one of the best in the region, with all the peaks already left behind as well as views into both valleys ahead. Cholatse is a significant 6000er newly appeared in the view, and Ama Dablam can be seen from another perspective here, just across the valley. It never fails to look prominent! 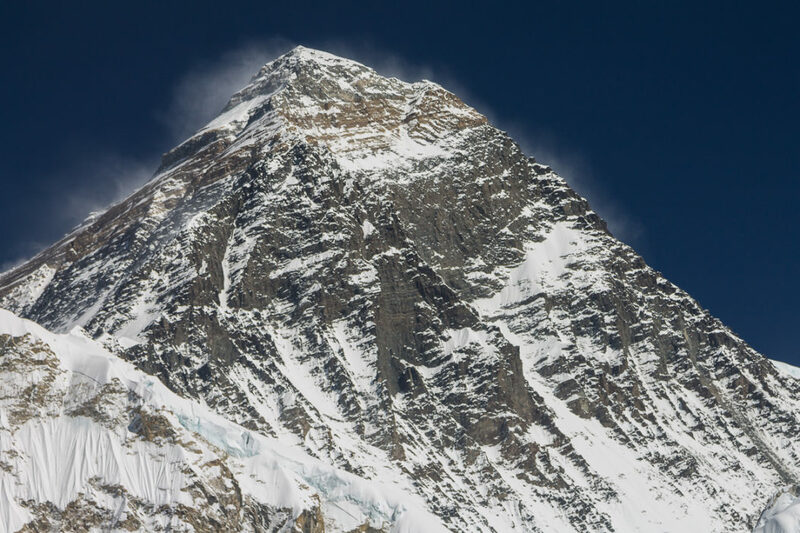 But Makalu – the world’s 5th highest mountain – is probably the most impressive giant in the view from the top. It’s not far from Dingboche to Chukhung (about 4700m), the last settlement in the Imja Khola. We unloaded our heavy bags there and left after lunch for an afternoon hike up-valley, towards Island Peak base camp. We followed a path on fairly fresh moraines through a place of rugged, wild, high-altitude scenery, dominated by glaciers, vertical walls, sharp ridges and huge peaks where you could feel the power of the mountains. We reached 5000m again, but headed back a kilometre or so from base camp to get back to Chukhung in time for a second view of the sunset. Chukhung Ri was on our list on the following day. At 5550m it would be considered prominent in any other region: here it is just a tiny, rocky hill. Not an easy one: it is steep most of the way, with very few easier sections, and a big part of the final ascent is rocky but still steep at the same time. It is overall more demanding than Kala Patthar, I would say: Chukhung Ri is a little lower (5550m versus 5643m), but it’s about 800m Chukhung to Chunkhung Ri and 100m less to from Lobuche to Kala Patthar: if you sleep in Gorakshep, at about 5170m, the climb is significantly less. Everest can't be seen from Chukhung Ri: Lhotse’s famous south face is the highlight. Nuptse is nearby, with the ridge we saw so many times earlier stretching between them. Island Peak, in the middle of the valley, looks smaller than I would ever have expected: indeed, all the complicated topography of glaciers and moraines below looks fascinatingly much clearer from here. Finally, we saw Kongma La – our pass for the next day. We woke up before dawn the following day. It takes time to boil water to fill Thermos and Camelbaks with warm liquid at that altitude. It was a tough climb of more than 6 hours to the pass, with a major rocky step 100m high at about 5300m altitude. Being fairly heavily loaded I found this to be the major difficulty on the route. Next we passed some picturesque lakes just before climbing the final step to the pass. I remembered looking towards Kongma La from Lobuche in the Khumbu Valley six month earlier, when I was planning this trip. I’d expected the pass to be difficult and the stage very long, and so it turned out. But finally we were there, the Khumbu Glacier just at our feet, Lobuche Peak on its opposite side, Cho Oyu in the background and countless peaks all around. Behind us stood Lhotse and Makalu, as well as the spectacular Ama Dablam. We skipped Kala Patthar, which I’d climbed two weeks earlier with a group: this time we visited Everest base camp only, as I needed to reconfirm my belief that, if someone is short of time and needs to choose between them, there are no good arguments for base camp against Kala Patthar. You only see a tiny part of Everest from base camp, and from the way to it. There are no climbers in the camp, nor any tents, in autumn, as spring is the main season for climbing the mountain. You can see the famous Khumbu Icefall, but there is a better view of it from Kala Patthar, where you have a wider perspective. Finally, Kala Patthar is a peak of significant altitude: base camp is just a place on the glacier, situated at a much lower elevation. I do not consider Cho La to be very scenic. If you cross only this pass you would probably love it, but of the three we crossed I find the other two have much better views. Nothing here will disappoint you, however, and the walk itself is interesting and diverse. We followed moraines at the beginning – gently first, steeply further up. Then we climbed a rocky step to cross clear, gentle glacial ice before taking the final steep stony climb to the pass. Should we have a rest day, after all that walking with heavy loads at altitude? Certainly, yes. But we considered a short stage, like the one between Dragnak and Gokyo, or a day spent walking without heavy gear, to be a rest day. Gokyo Ri was the next point of special interest. I’d been there two years earlier, and I knew it had magnificent views of the sunrise. But we were already tired, so, not liking the idea of getting up long before dawn, we decided to climb the peak for sunset. At 5357m, rising about 700m above Goyko, Gokyo Ri is easier than both Chukhung Ri and Kala Patthar. It is just a steady, steep climb – nothing particularly difficult, although the altitude, as well as the altitude gain, is remarkable. The view rewards the effort: Gokyo Ri is the place where all four of the region’s 8000ers can be seen from one point. 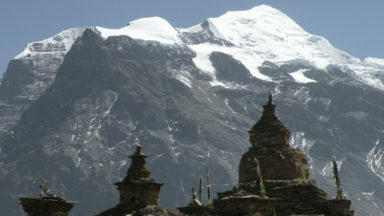 Cholatse and Taboche – 6000ers now very well known to us – show up at new angle. Ngozumpa, the longest glacier in the Himalayas, and the Gokyo lake below disappeared in the shade of the lowering sun as we ascended towards the top. Cho Oyu in the north, at the end of the valley, marked the Tibetan border. Everest, Lhotse and Makalu were roughly eastwards – all three in one frame. You can see much more of Everest here than from Kala Patthar: you can study the Tenzing’s and Hillary’s southeast ridge route, with the south summit clearly visible; but you can also see the north ridge, where Mallory and Irvine left their last footprints, and the fate of their attempt a mystery. We were at Gokyo Ri just at the best moment of the day, when the rugged, unwelcoming, icy high peaks around looked warm and hospitable as they were lit by the setting sun. The weather was perfect, with clear, deeply dark blue skies, as we’d had on previous evening hikes. A splendid scene: our evening trip had turned out to be the perfect choice! 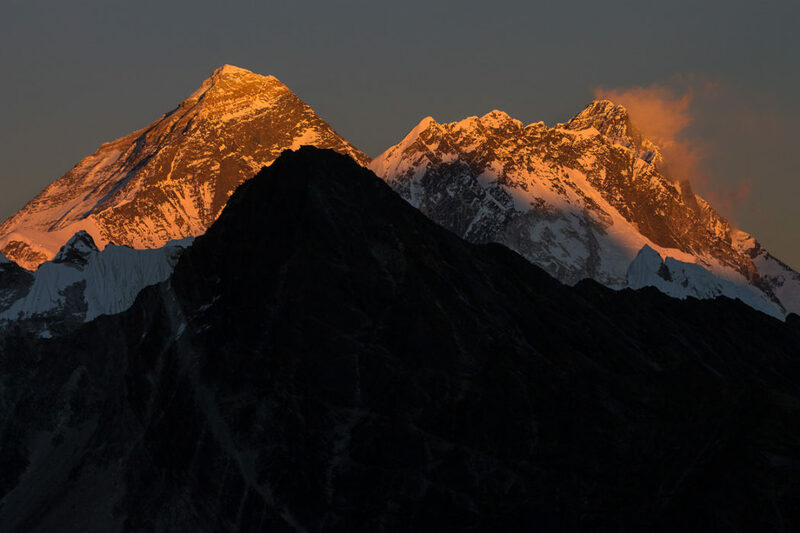 Mount Everest and Lhotse – the highest and fourth highest mountains in the world: a sunset view from Gogyo Ri. Renjo La, the third pass, was like a well-deserved dessert. 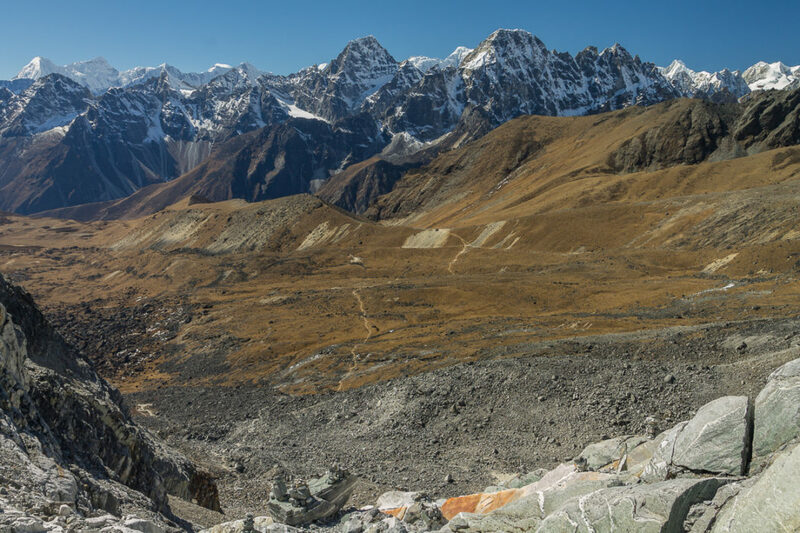 The ascent from Gokyo is not easy – although easier than from the opposite side. The climb required an effort which did not come easily, as we were already worn out. Happily resting at the top, we looked back at the now-familiar giants, a splendid panorama of glorious mountain peaks including Everest, Lhotse and Makalu, seen at similar perspective as from Gokyo Ri, but also Pumori, and Cholatse and Taboche, which look magnificent from here. 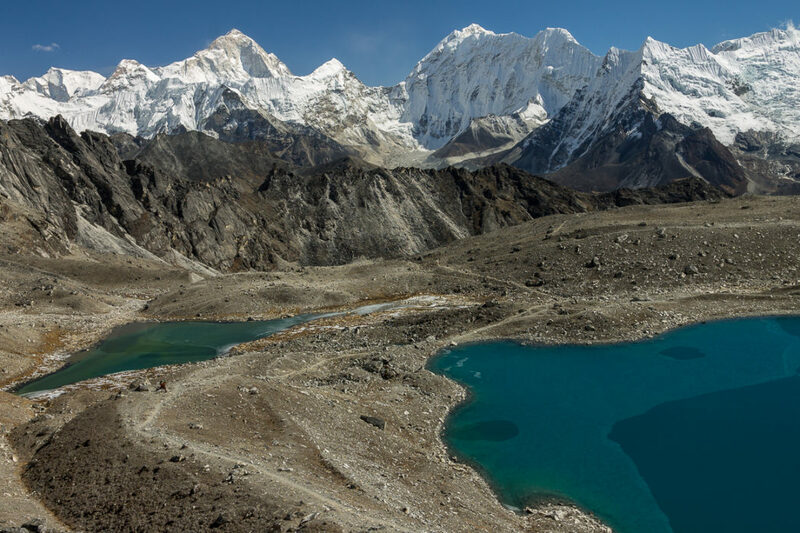 The Ngozumpa glacier and the lake below not only add to the scene’s beauty, but also mark the scale – it is almost 4100m vertically from the lake to the top of Everest! 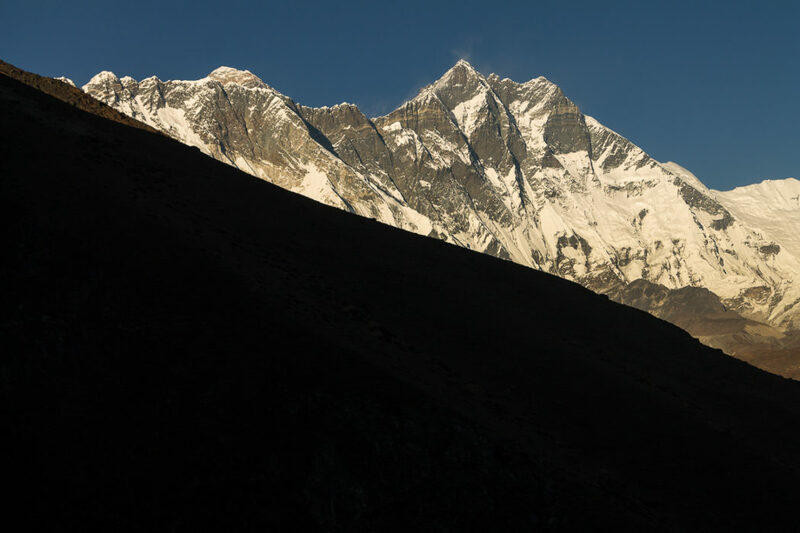 The unknown peaks of the Rolwaling Himal – another Himalayan massif – emerged in front of us. Melungtse, in Tibet – the highest of the Rolwaling – can be seen, among others. The view revealed to me again the vastness of the Himalayas. Anywhere I go there is always something for me to discover!